Ultramid B3WGM24 HPX BK23210 is a very high productivity, 30% glass/mineral reinforced heat stabilized injection molding PA6 grade for components that require medium rigidity, excellent dimensional stability, low warpage out of the tool and excellent appearance. Typical applications include automobile engine covers, housings and automotive door handles. Material is supplied in sealed containers and drying prior to molding in a dehumidifying or desiccant dryer is recommended. Drying parameters are dependent upon the actual percentage of moisture in the pellets and typical pre-drying conditions are 2-4 hours at 180F (83C). Recommended moisture levels for achieving optimum surface qualities and mechanical properties is 0.05% - 0.12%. 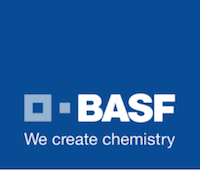 Further information concerning safe handling procedures can be obtained from the Safety Data Sheet (MSDS), or by contacting your BASF representative. This product can be processed over a wide range of mold temperatures; however, for applications where aesthetics are critical, a mold surface temperature of 80-95°C (176-203°F) is recommended. Back pressure can be utilized to provide uniform melt consistency and reduce trapped air and gas. Minimal back pressure should be utilized to prevent glass breakage.